Lara graduated with a Bachelor of Occupational Therapy degree from The University of Newcastle (Australia) in 2002. She is the Founder and Director of Beanstalk Children’s Therapy. Lara has been working as an independent practitioner since 2008, and has gained extensive experience in working with children across a variety of settings. She has worked as a community based Senior 1 Paediatric Occupational Therapist within the NHS, working with children aged 0-19 years with a variety of disabilities. She has also worked as a school-based Paediatric Occupational Therapist within Queensland Health (Australia), working with pupils aged 3-20 years with moderate to severe disabilities. Lara is registered with the Health and Care Professions Council (HCPC) and is a member of the British Association of Occupational Therapists (BAOT), College of Occupational Therapists Specialist Section: Independent Practice (COTSS-IP) and Sensory Integration Network. She has gained postgraduate qualifications in Sensory Integration and holds Advanced Sensory Integration Practitioner status. She is also a Certified Therapeutic Listening® Practitioner and Therapressure Program™ provider. Sarah graduated with a BSc Occupational Therapy degree from The University of Essex. 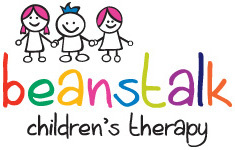 Prior to joining Beanstalk Children’s Therapy, Sarah worked as a community Occupational Therapist in both the learning disabilities and early supported discharge teams. She has also worked for the Child and Adolescent Mental Health Service (CAMHS) and adult mental health/learning disability services. She also has extensive experience working as a Learning Support Assistant (LSA) in a special needs school and as a support worker in a residential school for children and young adults with special needs and challenging behaviour. 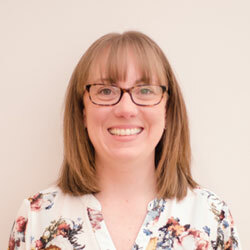 Sarah is registered with the Health and Care Professions Council (HCPC) and is a member of the British Association of Occupational Therapists (BAOT) and Sensory Integration Network. She has also gained postgraduate qualifications in Sensory Integration (SI) and the Assessment of Motor and Processing Skills (AMPS).